Let’s say you want to define the word ohana. 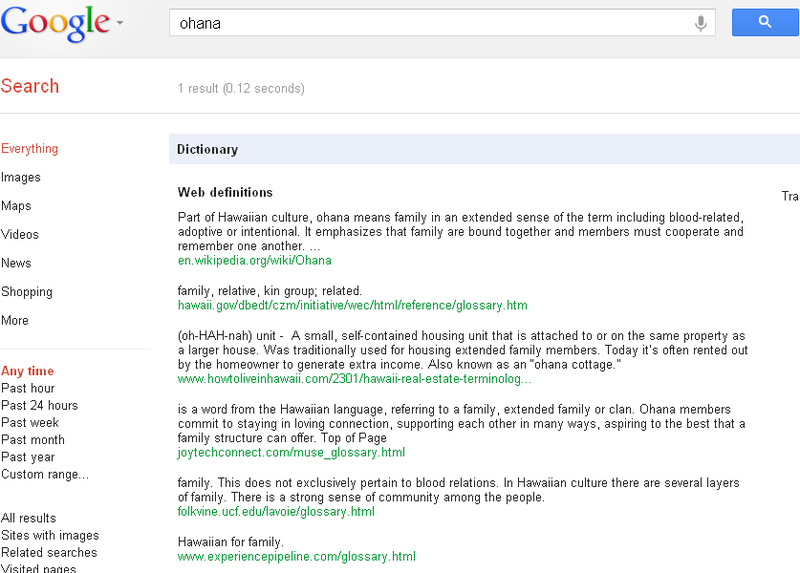 In the Google search box simply type define ohana and click the search button to get the result you see below. What if the first definition that Google finds does not make sense to you? Not a problem. You can click More info that is located right under the first definition and get more definitions of the word. See the example below.